Zari’s trip to Uganda was a mixture of the good and the bad, but just like her 'Always Winning' tagline, she pulled it off. The mom of five came to the country on a purely business trip, but her visit was met with some very sad news of the passing of her brother-in-law, George Pinto Semwanga, an elder brother to her late ex-hubby, Ivan Semwanga. Diamond Platnumz had assumed the role of the daddy figure for all Zari’s children and some were actually moving in his footsteps of music. 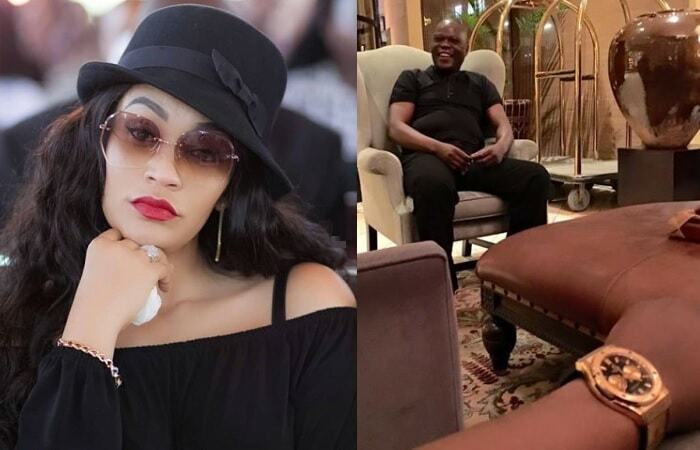 But with the two not riding on the same horse anymore, Zari was looking up to the late George Semwanga to play that role, but sadly, he passed on from his hotel room in South Africa. "My kids have lost an uncle who would have played a father part. Mehhn, it doesn't rain sometimes, it pours!," Zari noted while mourning George aka Sir Pinto. Sir Pinto is the one that took the late Ivan Semwanga to South Africa, he was also the owner of Sir Pinto Hostels in Makerere Kikoni before they crossed to the current owner. While appearing on NBS TV to talk about her visit in the country, Diamond Platnumz ex noted that she was not seeing anyone for now, but may be next year. This was in response to rumours that she could be eyeing Bryan White. The socialite sent her fans into a frenzy when she captioned the sweeping dress from South African based designer, Gert-Johan Coetzee, as; "Off the market #Taken"
To many, this was not about the dress, it was about Zari hooking up someone new, so they responded with congratulatory messages with some saying congs and most of them saying; “May he take good care of you." 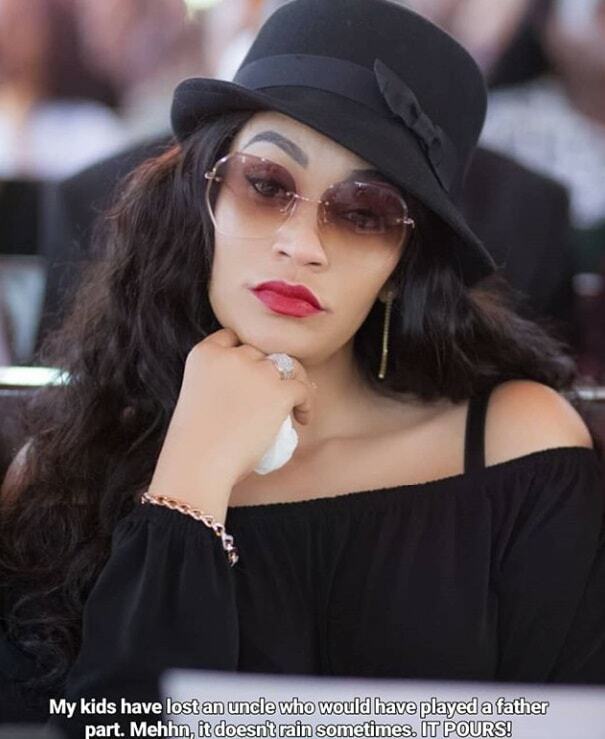 Zari has now gone back to South Africa and top on the agenda is her daughter, Tiffah’s birthday which should take place this month before she makes her way to Mozambique for the Lizha James concert.